What a great time it’s been on these chilly dark mornings, braving howling gales, lashing downpours and an iced-up car to get to fantastic schools chock-a-block with keen readers and sizzling librarians. A big THANKS to Brixham Primary School for an awesome day of stories with Years 5 & 6. What a great school, with a delightfully cosy library. Then came Tor Bridge High School in Plymouth with its megamazing library and megastonishing librarian! Sorry I arrived like a drowned rat, having had a bit of a fight with Storm Angus (I lost). Next came Cotham School in Bristol (my fifth visit) with fantastic goings-on with year 7 Reading Champions. Then it was a quick zoom up the motorway to Bellfield Junior School in Birmingham where I’m always impressed by Year 6 writers. They’re also into Accelerated Reader so I was more than happy to deliver a few of my books before crossing Birmingham to the fabulous Redhill Primary School and the absolutely delightful Class 3. I’ve lost count how many times I’ve returned to this lovely school so thank you for another warm welcome on a frosty day (at least it wasn’t snowing this time). 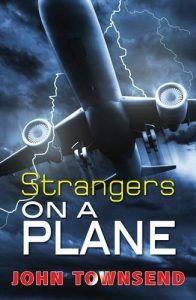 I was able to tell everyone about my new adventure story – finally published at last! 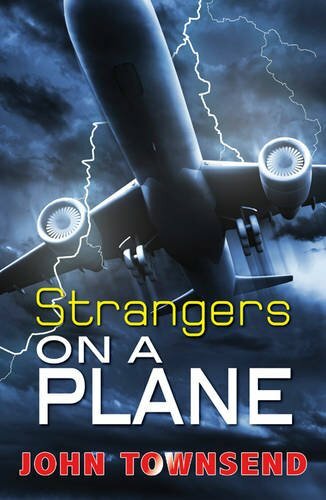 Strangers on a Plane is now available as a ‘fast read’ to quicken the pulse and race the heart – so you may need to have a lie down after reading of Toby’s scary antics at Paris Airport. Try not to have too many nightmares but sit back and enjoy a very Happy READING Christmas and I hope to see you in the New Year! This entry was posted in Uncategorised on 30th November 2016 by john. Hey – guess what… November is far more than the month of winds, mist, rain, fireworks and American elections. It’s NATIONAL NON-FICTION NOVEMBER (applause, cheers, cymbals, dancers and squeals of delight) when writers of information books get even more excited than usual. We celebrate the WOW books that give us Windows On Worlds Of Wonder (WOWOW!) Take a look at all the brilliant articles/blogs by clicking on this link . If you like your information books with plenty of yuck and gross, peppered with wacky jokes, limericks and sizzling in cheesiness, then look out for my new series out in 2017 from the fabulicious Book House. Enjoy! This entry was posted in Uncategorised on 4th November 2016 by john.